On Wednesday, September 12, 2018, about 20 Bridge and Build youth from Milwaukee, Madison and Neenah participated in a program sponsored by The Milwaukee Brewers at Miller Park. The program had three components: 1. Jackie Robinson and his values, a workshop produced by First Stage youth theater in Milwaukee; 2. Major League baseball careers and career advice presented by the Milwaukee Brewers Baseball Club; 3. Lunch. 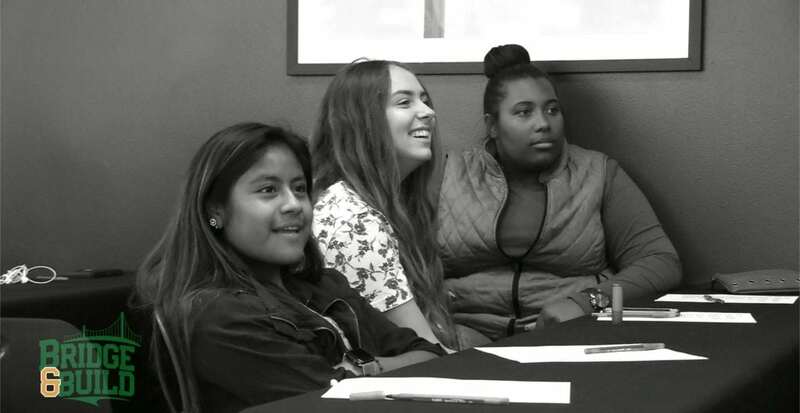 Bridge and Build youth prioritized their own values from a list of Jackie Robinson’s values: courage, teamwork, determination, persistence, integrity, citizenship, justice, commitment, and excellence. They discussed their rankings with each other. They then participated in a “loosening up” exercise that involved moving around, gestures, following instructions and dealing with changing instructions. A First Stage actor then demonstrated how emotions are expressed in actions (such as walking, head low, etc.) and look (facial expression). Then First Stage took two famous Jackie Robinson stories and had the Bridge and Build youth act them out in gestures and looks. The first was the famous instance in Philadelphia when Pee Wee Reese walked across the infield to put his arm around Jackie Robinson after fans booed the first African American player in the league. The second was a clubhouse incident in Brooklyn when some team members signed a petition to be traded by the Dodgers because of Jackie Robinson’s presence on the team while others did not. In each instance, the youth were asked to imagine what was going on in the minds of the participants in the stories. Four persons from The Milwaukee Brewers front office representing different ages and roles explained what they do, how they got to the Brewers and what it was like to work in pro-sports off the field. They offered detailed tips on education, experience and everyday life, such as the use of texting. Servant leadership: How to incorporate service (volunteering) into the leadership curriculum and experiences. Job shadowing and mentoring: How to open the door for youth from Beloit, Neenah, Madison and other cities outside Milwaukee. After the event, The Milwaukee Brewers authorized a representative to participate in Bridge and Build planning and design.